I’d not been to Tel Aviv before, so deciding which area to stay in required a bit of research. 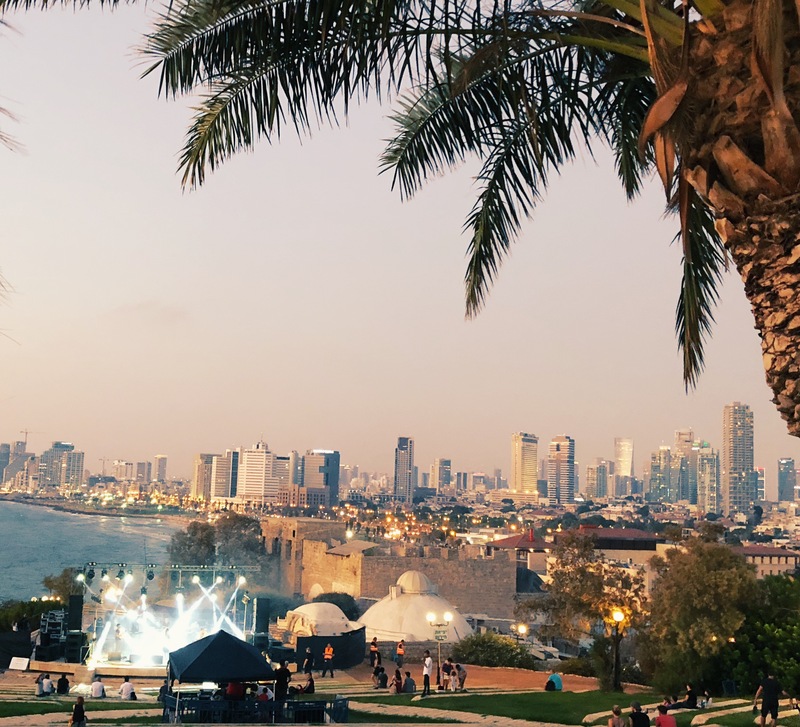 Friends had recommend a range of areas but in the end we opted for Jaffa, which is the southern and oldest part of Tel Aviv. It is an ancient port city that is steeped in history with a natural harbour that has been in use since the bronze age. 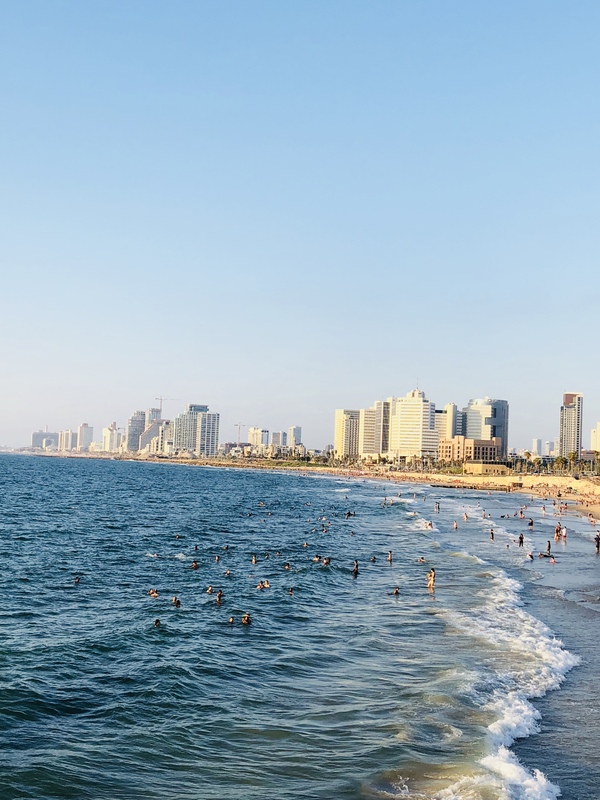 It also offers great vistas of the whole of Tel Aviv as you can see. 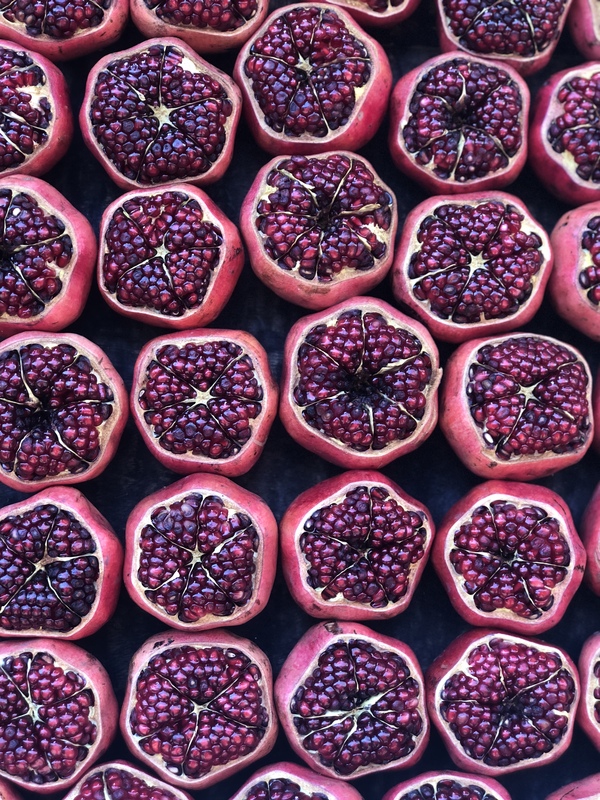 The area is predominantly Muslim and home to winding alleys with shops and art galleries, as well as the lively Flea Market, which was a stones throw away from our apartment. The area is filled with cool eateries and hip bars and whilst our Airbnb apartment was in the thick of it, the noise level was low and we slept like logs. We were also lucky to only be 5 minutes walk from the sea. The stone staircase leading to the door of our apartment were the most ancient we had ever climbed; it really did feel as if we were stepping back in time with every step. You can see what I mean if you look on my instagram under my instatories under ‘Israel’. 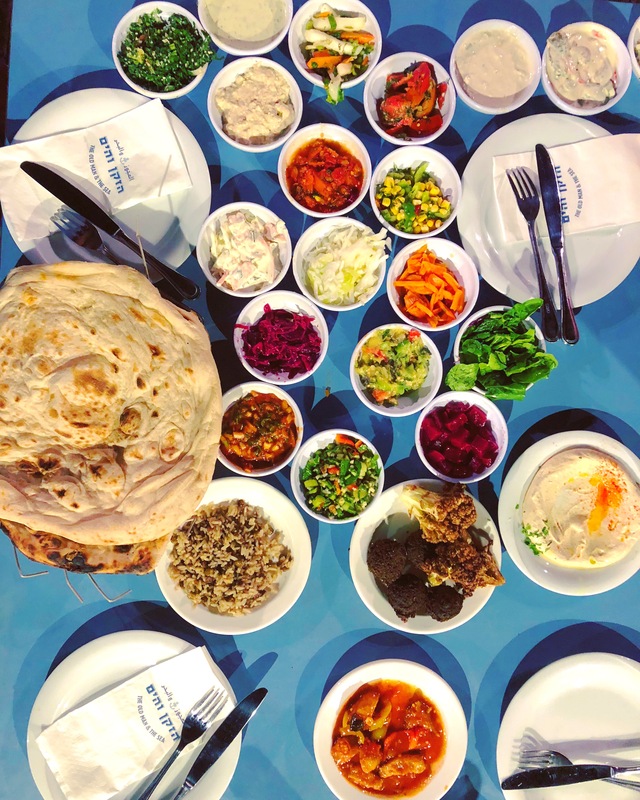 The food in Jaffa is seriously good and a place to head for lunch if you are staying in Jaffa – or indeed another part of Tel Aviv – is Abu Hassan. It’s one of the oldest and most loved hummus restaurants located on Dolphin Street. 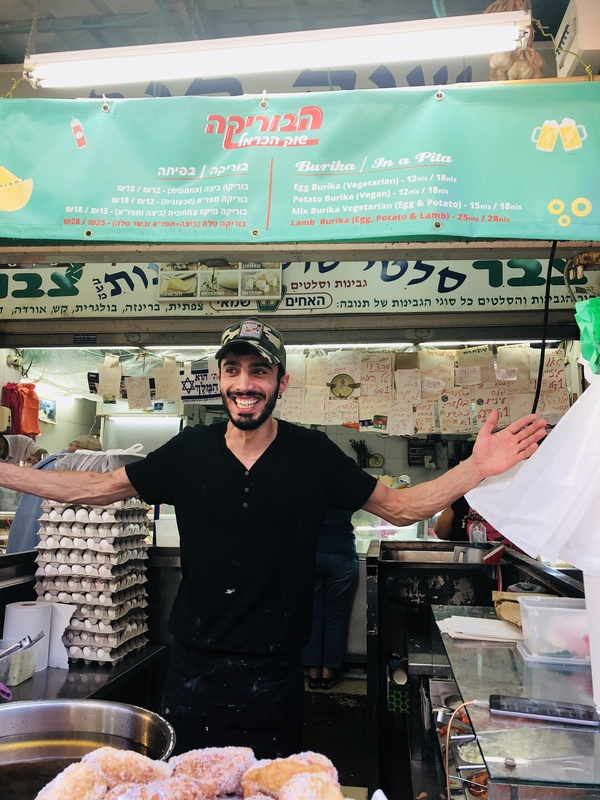 It attracts locals – Jews and Arabs, as well as tourists and labourers. 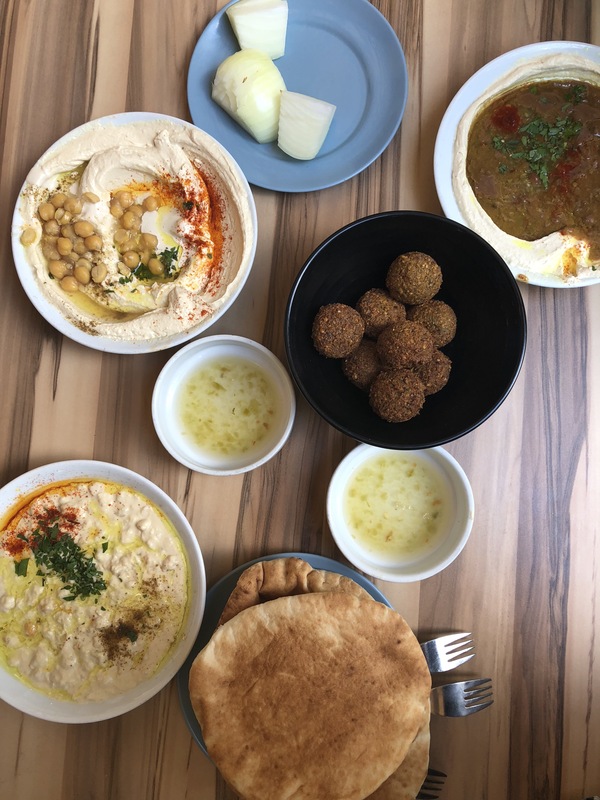 The concept is simple – there are four dishes (no written menu – only the dishes presented in writing on the wall) – hummus, masabacha, brown beans and labna. To accompany the dishes you are served warm pitas, fresh onions, chilli in lemon water and falafel. It is masabacha that I have tried to replicate in a recipe for you today. The main difference between masabacha and hummus is the texture. Whilst hummus is smooth, masabacha keeps some of the chickpeas whole. It is also eaten warm – although it is also equally delicious eaten at room temperature. To top the masabacha some chickpeas are added on top in a little water and lemon juice with a little cumin powder or smoked paprika and some freshly chopped parsley. This is my recipe. It is pretty straightforward once you have soaked the chickpeas for 24 hours in cold water. Place the dried chickpeas in a bowl and cover with cold water. Add the baking soda and stir. Refrigerate the chickpeas overnight. Drain the chickpeas the following morning and place in a pan along with the unpeeled garlic cloves. Cover with fresh cold water so that it covers the chickpeas completely. Simmer for 40 minutes, by which time the chickpeas will have softened. Remove the scum that will form whilst cooking and add more water if it looks to be getting dry. Strain the chickpeas, keeping all the water and place to one side. Rinse the chickpeas thoroughly. Remove 3 tbsp of chickpeas and place to one side. 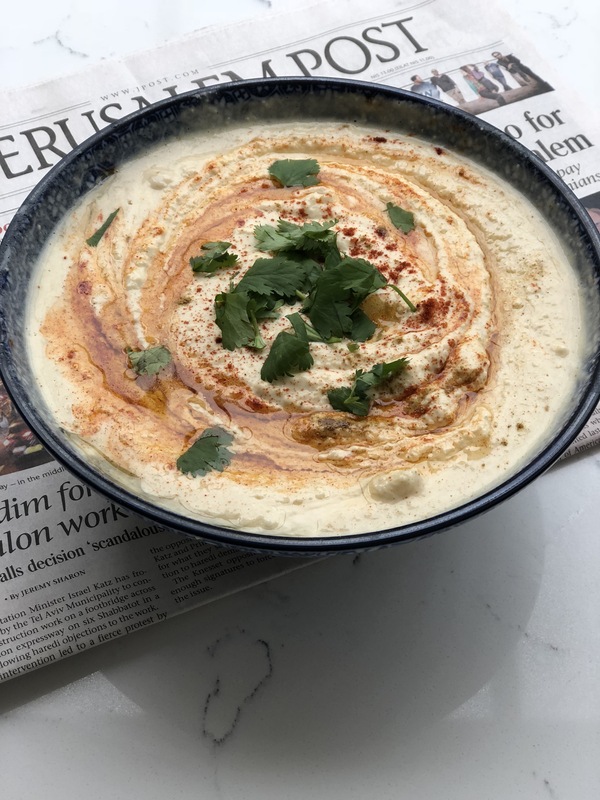 Place the chickpeas, all the garlic (except one which you will use later) – with the skins now peeled, 80ml of reserved chickpea cooking water and cumin powder in a blender and whizz. 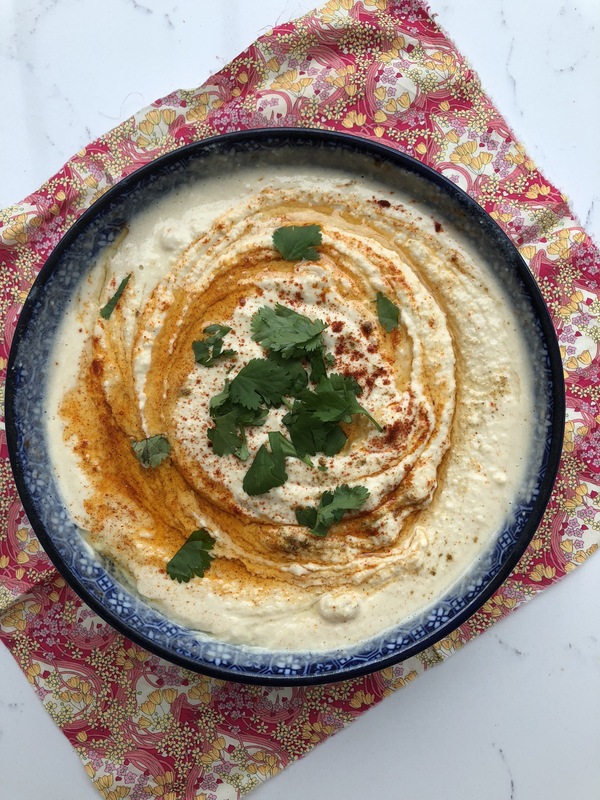 Gradually add the olive oil and tahini so that you end up with a very creamy, smooth hummus. Add salt to taste. Place in a medium sized, shallow serving bowl. In a separate small bowl mix the chickpea juice ingredients. To serve make a slight well in the centre of the hummus and scatter the remaining whole chickpeas on top. Spoon in the tahini-lemon mixture – you may find you won’t need to add it all so spoon it in gradually. Sprinkle with cumin and/or paprika powder and garnish the parsley. Serve with pita bread. 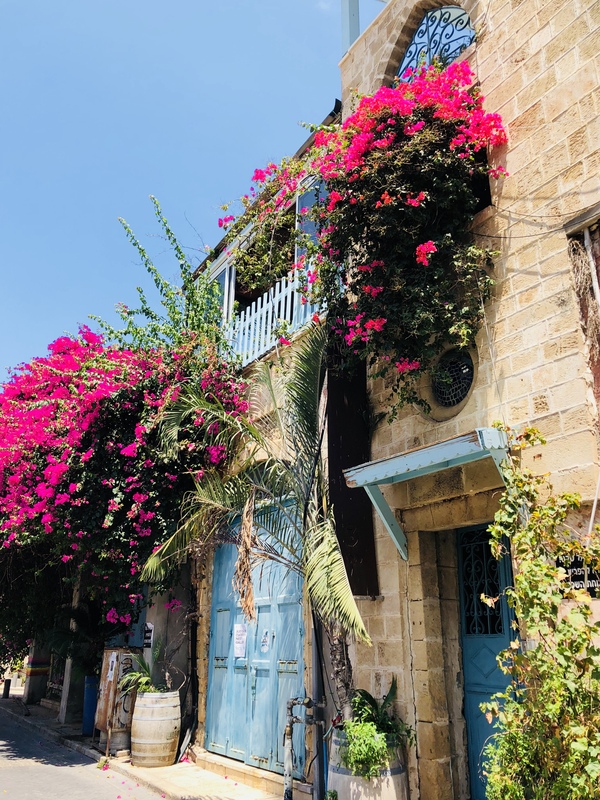 After lunch it is worth spending time walking around the beautiful narrow streets of old Jaffa. 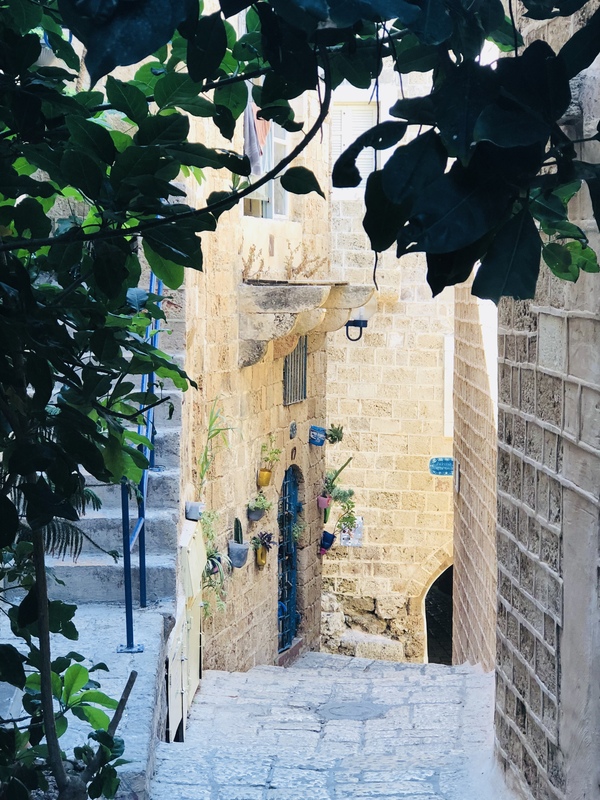 Whilst it might be very hot, if you are visiting in summer, the narrow streets do offer some shade and being near to the sea a gentle breeze is a welcome respite. 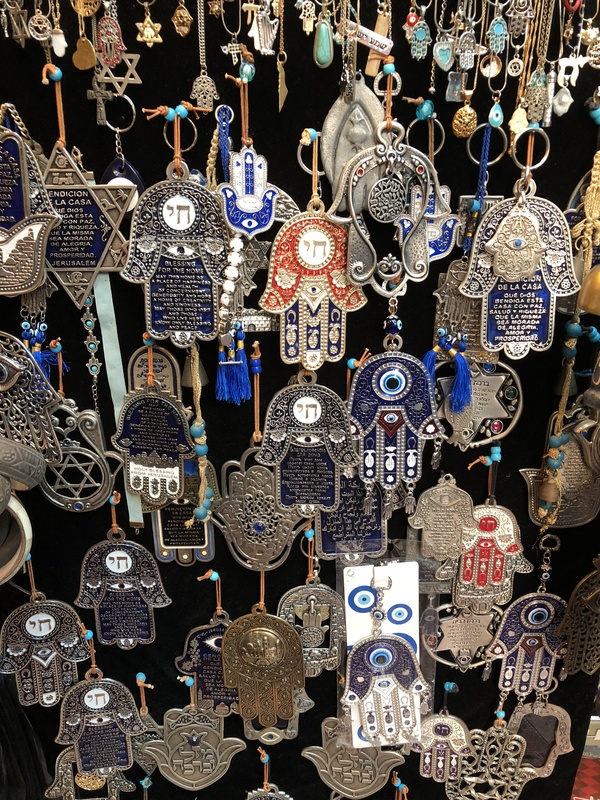 A meander around the famous Jaffa Flea market is an absolute must – it sells a range of trinkets, bags from Afghanistan, evil eye pendents, jewellery and clothes, as well as a host of interesting antiques. Being so close to our apartment I spent a fair amount of time nosing around this market as you can imagine. There are also a number of interesting shops surrounding the market and neighbouring streets. My favourite without a doubt was this little gem. 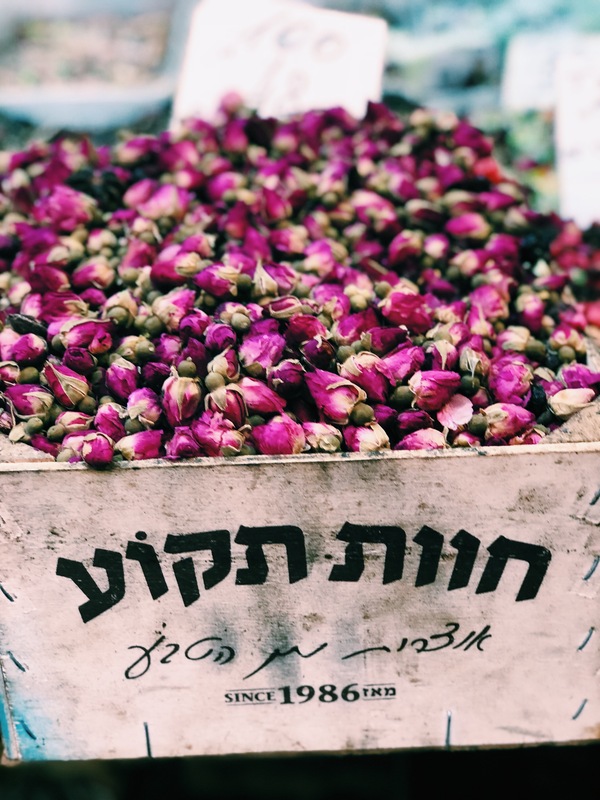 Erez Zielinski Rozen Perfumery. 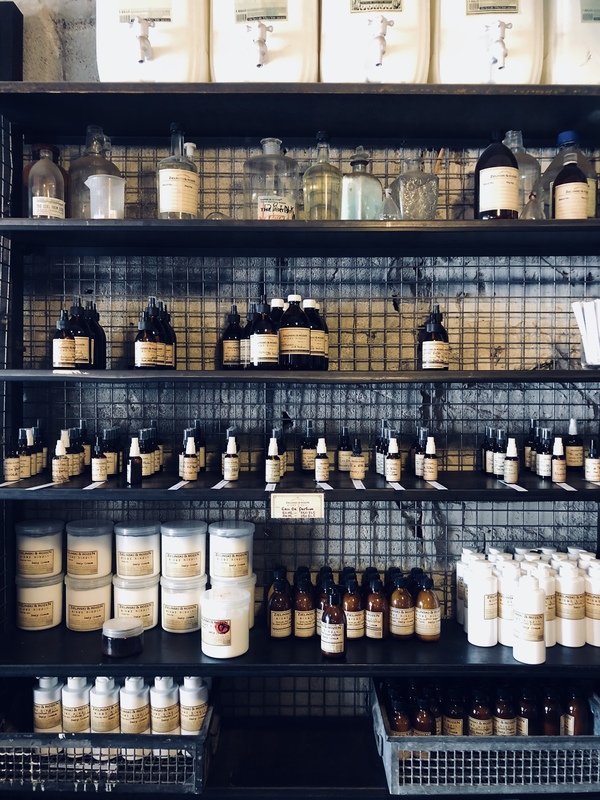 If you like brands like Aesop and Le Labo then this is really going to appeal. The good news is that the price tag does not equal the other two brands, thankfully. The smells were divine and the packaging and branding were elegant and understated. You can’t buy it in the UK so it feels deliciously unique and original. A few bottles of perfume and hand made soap may have found their way home in my luggage. If a food market is what you are after then a short taxi ride (I think the taxi drivers were the nicest I’ve experienced – not trying to rip you off and pleasant to talk to) will deliver you to the Carmel Market (in Hebrew it is known as ‘Shuk HaCarmel’ so use that name if riding in a cab). First opened in 1920, 11 years after the establishment of the city, the market or ‘shuk’ occupies one street, which runs south from the junction of King George Street, Allenby, and Sheinkin Street to the Carmelit Bus depot in the south. The lower part of the market (nearer the sea) is the place to head where food stalls and fresh produce are on offer. If you are feeling peckish, then head to THIS guy below. 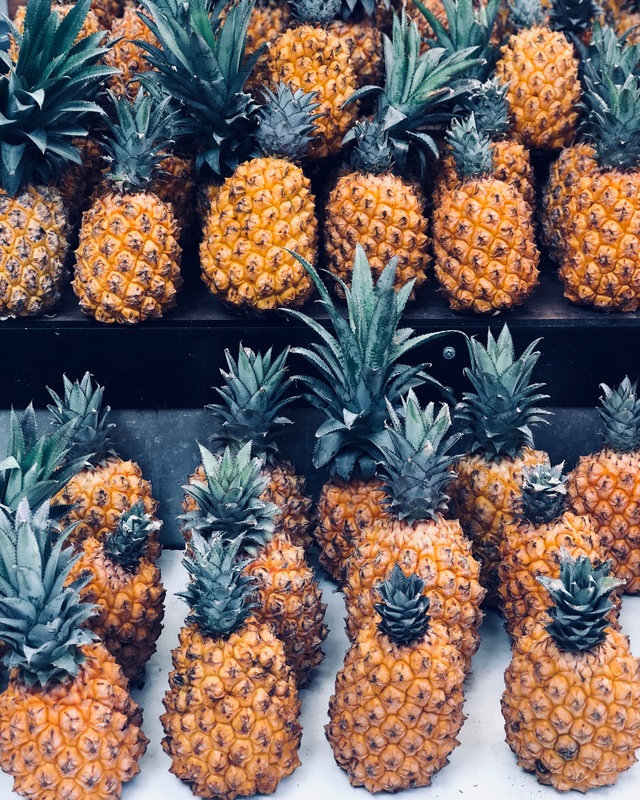 …..he is located on the right hand side – if the sea is behind you – in the food section of the market – for an egg, potato or a mix of both, or lamb burika. He is a real entertainer and is pretty mesmerising to watch as he prepares his tasty treats. Burika is basically a paper thin pastry dough that is smeared with herbed mashed potato that is folded and dunked in boiling oil, then an egg is wrapped in it. It comes out crisp and is then popped into a pita bread along with hot sauce (harissa I guess), fresh tomatoes, cabbage, onion and then presented in a little paper bag. Order one to share as they are filling. Whilst munching on your burika you can stroll through the market taking in the smells, sounds and general buzz of the market. 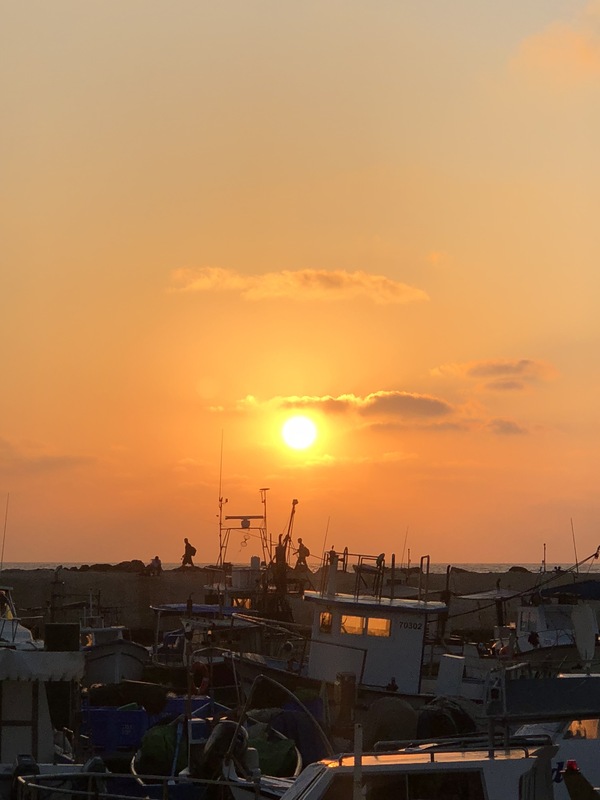 As the sun sets head back to the harbour by Jaffa to watch the setting sun. Sit outside and soak up the ambiance of the locals and tourists promenading around the harbour, whilst you devour your feast. 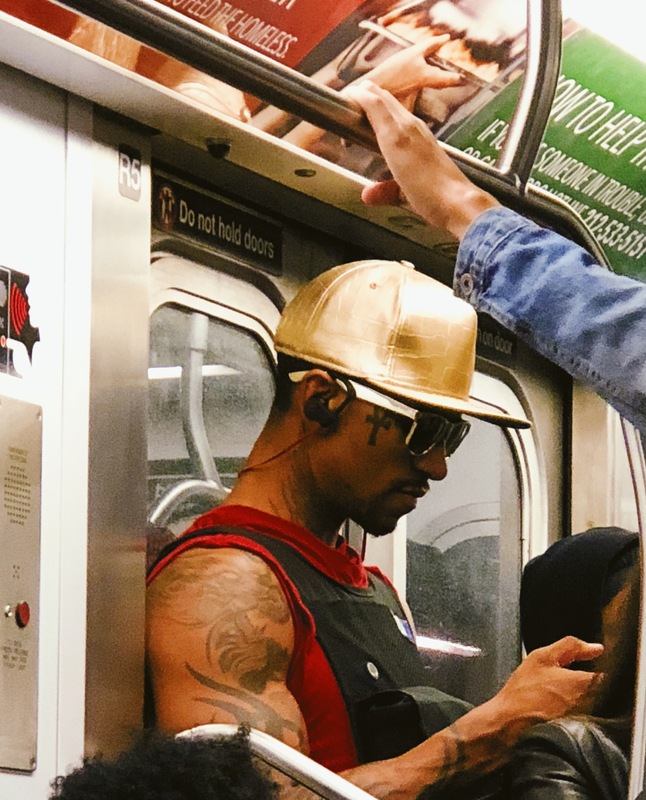 I was recently in New York and spent a lot of time on my feet, pounding the pavements to see the sights and explore – clocking up over 80 miles in a week. I have been to New York many times before, both for pleasure and business, but this time it was definitely pleasure and I had the whole family in tow. My last trip I posted a post here – so take a look if you are planning a trip. 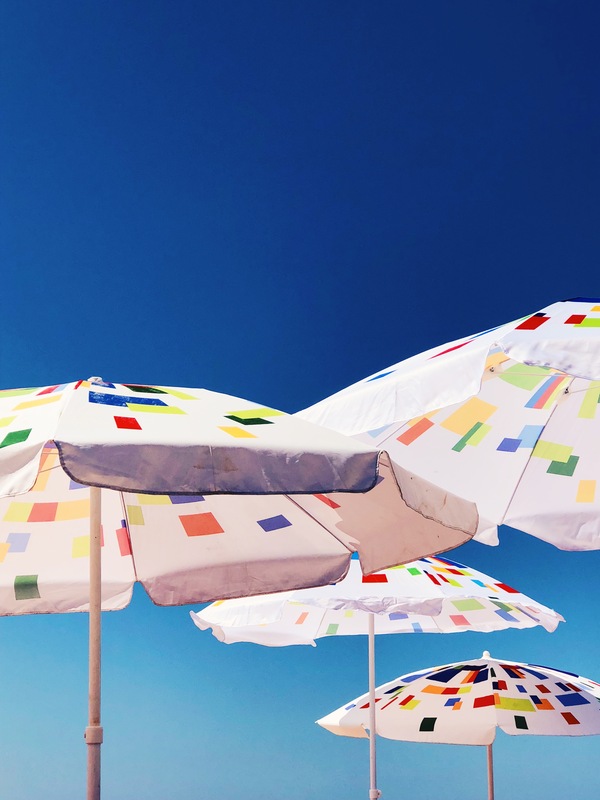 Here are some of my suggestions on things to do in the city that never sleeps. Ok, before you switch off and give up on my suggestions before they have begun, let me just say this. This museum completely knocked us for six, it’s brilliant. My girls (12 and 8 yrs old) LOVED it and my husband and I were equally absorbed. It was so interesting in fact that we left if at lunch time to grab something to eat to then returned for another session after lunch. The museum is on the aircraft carrier USS Intrepid and the cruise missile submarine USS Growler, both of which are fascinating to explore. In addition they showcase a Concorde SST, a Lockheed A-12 supersonic reconnaissance plane and the Space Shuttle Enterprise. It was all quite overwhelming to have all these things in one place. 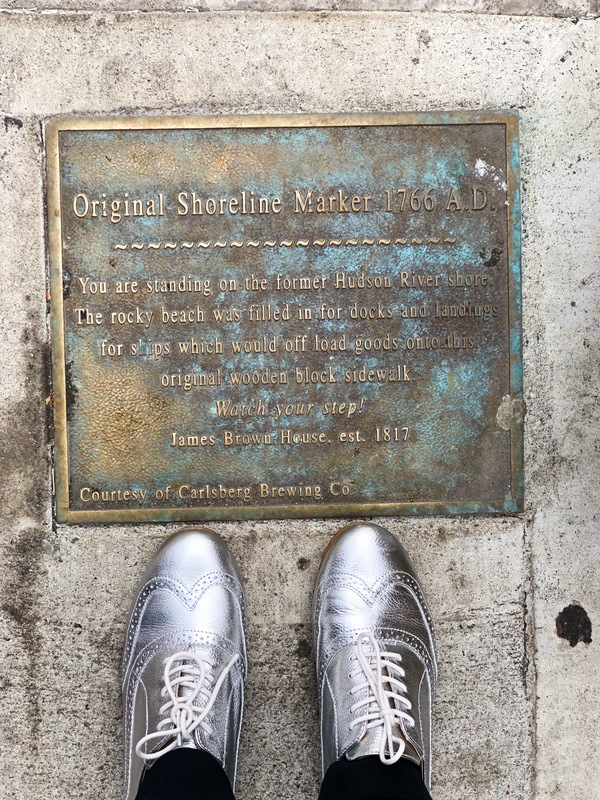 It is located at Pier 86 at 46th Street in the Hell’s Kitchen neighboured on the West Side of Manhattan. 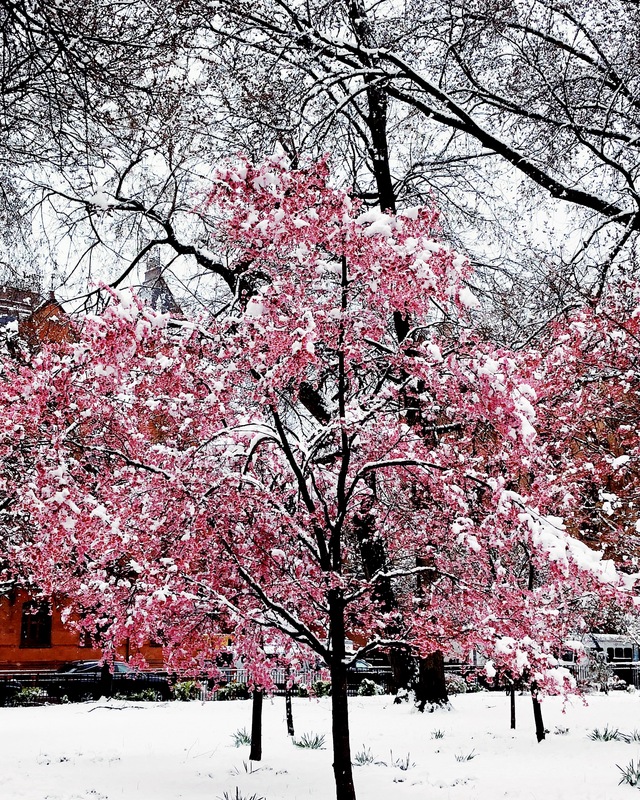 yes it snowed when we were there can you believe it……kind of pretty with the blossom, in a surreal way! An obvious choice I know, but my goodness the place is fascinating. Focus on one of two periods and then absorb yourself in these rooms. It is based in the Upper East Side just by Central Park. After visiting the Met you could pop into another of my favourite galleries The Frick, which I mentioned about here. Try and book tickets before you arrive in New York for one of their tours as they sell out fast. 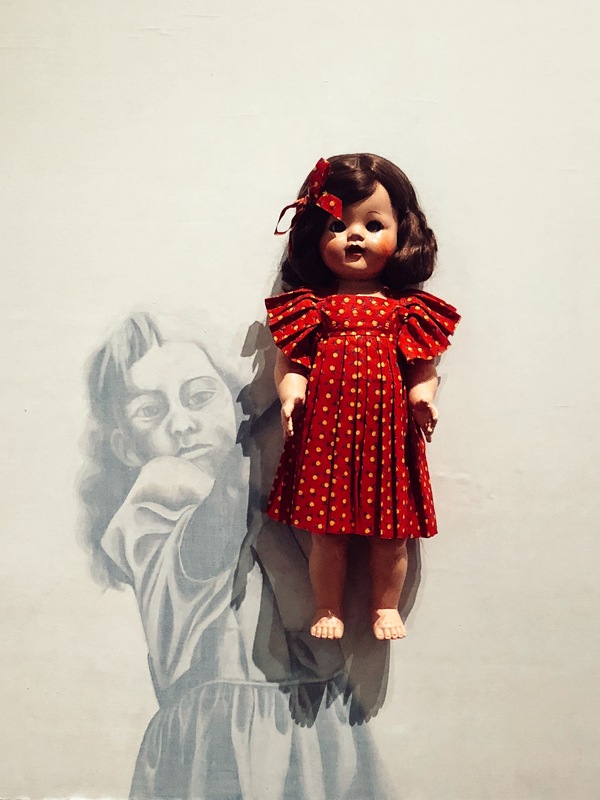 The museum is interactive in many respects and focuses on Americas urban immigration history. 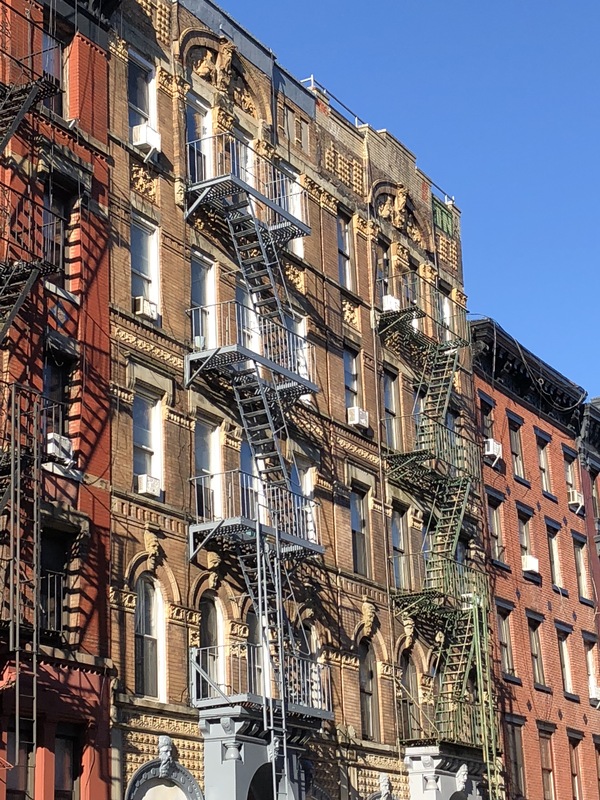 There are a number of tours which allow visitors to view restored apartments from the 19th and 20th centuries, walk the historic neighborhood, and interact with residents to learn the stories of generations of immigrants who helped shape the American experience. Based on Orchard Street on the Lower East Side. Close by to the Tenement Museum so a great place to go for lunch if the timing works. This kosher style Jewish deli has got to be one of the oldest in town – first serving customers in 1888. 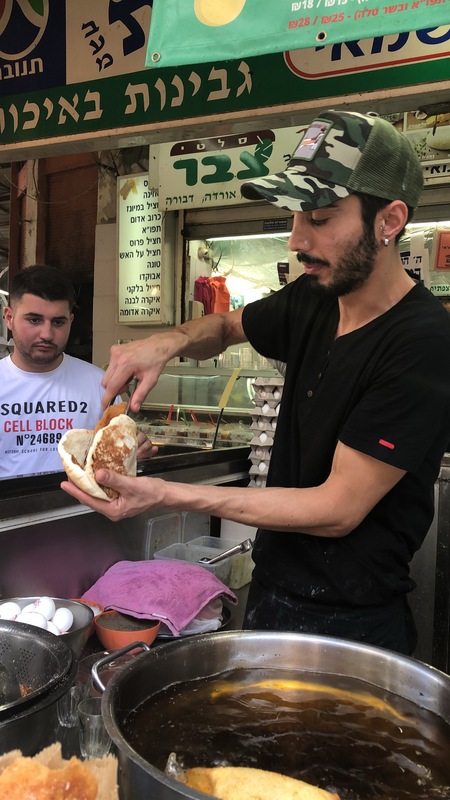 Tourist and locals equally adore the fanfare that goes into making their sandwiches. The portions are epically huge so order one sandwich between two. 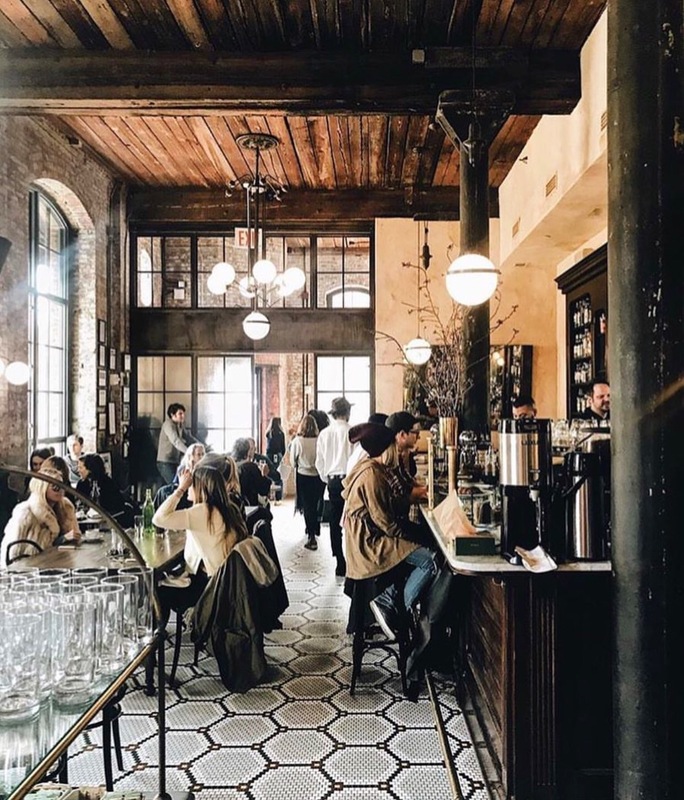 Located at 205 East Houston Street, on the southwest corner of Houston and Ludlow Streets on the Lower East Side in Manhattan, New York City . 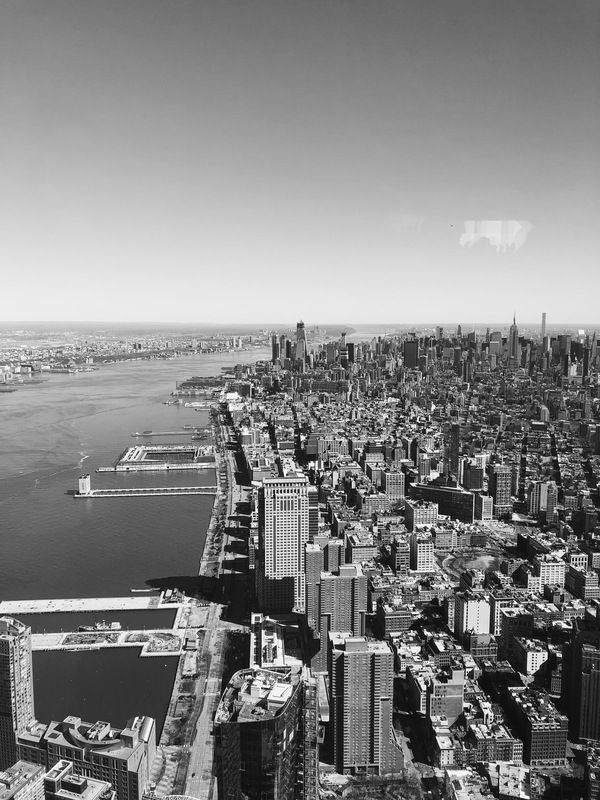 There are a number of place in NY to get that birds eye view of the city, but One World Observatory is pretty impressive and worth booking tickets in advance online. If you manage to go up on a clear day you really do feel on top of the world. 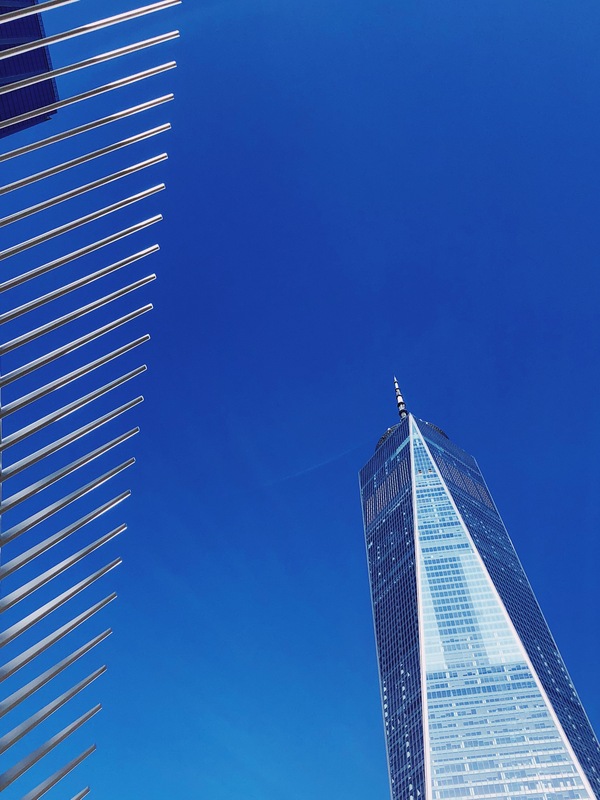 Whilst visiting the observatory, just near by are two pools – approximately 1 acre in size – of where the original twin towers stood before that fateful day on 9/11. Take time to pay your respects to those who perished and see the names engraved around the outside. Behind the memorial you will see the impressive Oculus building, designed by Spanish architect Santiago Calatrava to look like a dove in flight. Some critics have been rather harsh but I personally loved the structure. It is in fact a train station for the PATH train over to Jersey City and cost the grandiose sum of $4 billion to build over 12 years. 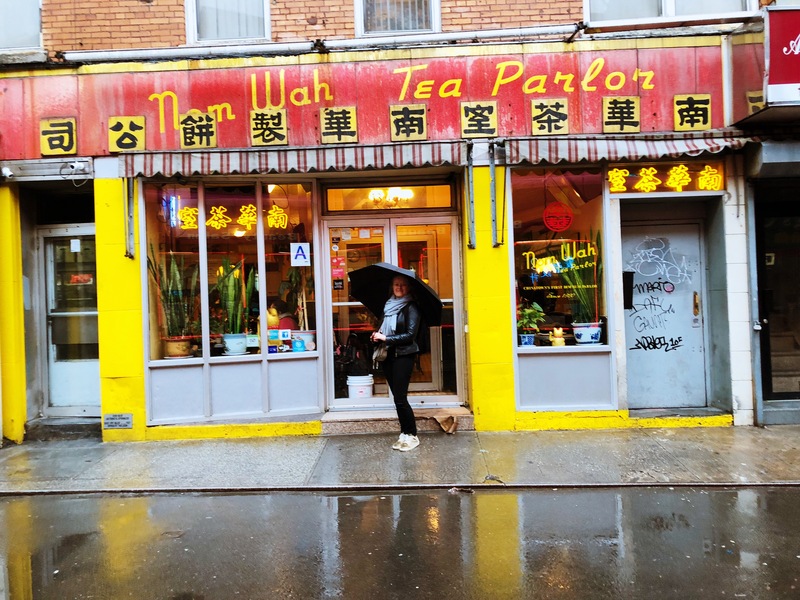 Book at table at Nom Was Tea Parlor, which has been serving dumplings to hungry New Yorkers since the 1920. There are a number of pleather booths (book one of those if you can), or tables scattered across the restaurant. Order the Xia Long Bao, which are called Shanghainese soup dumplings. 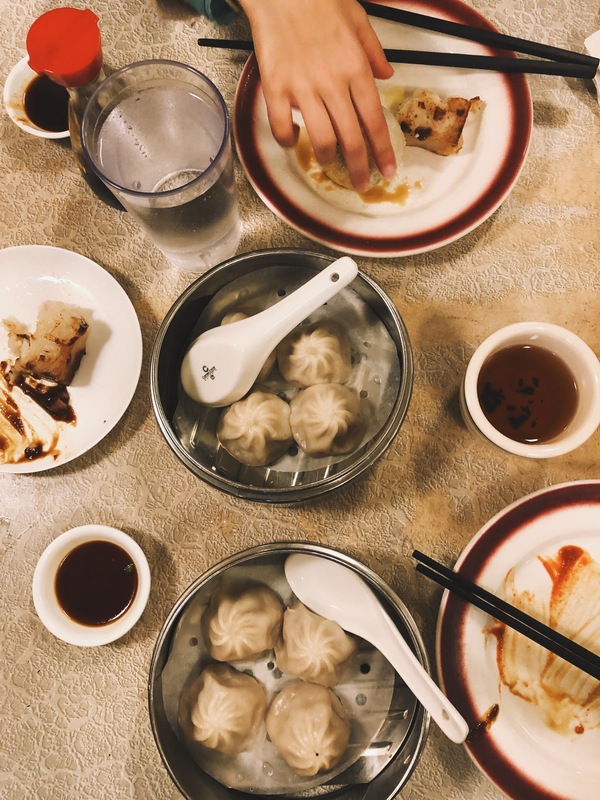 It was raining cats and dogs when I visited so provided the perfect respite to warm up and fill our bellies with delicious dim sum. After lunch have a wonder around Chinatown, which is a feast for the eyes. 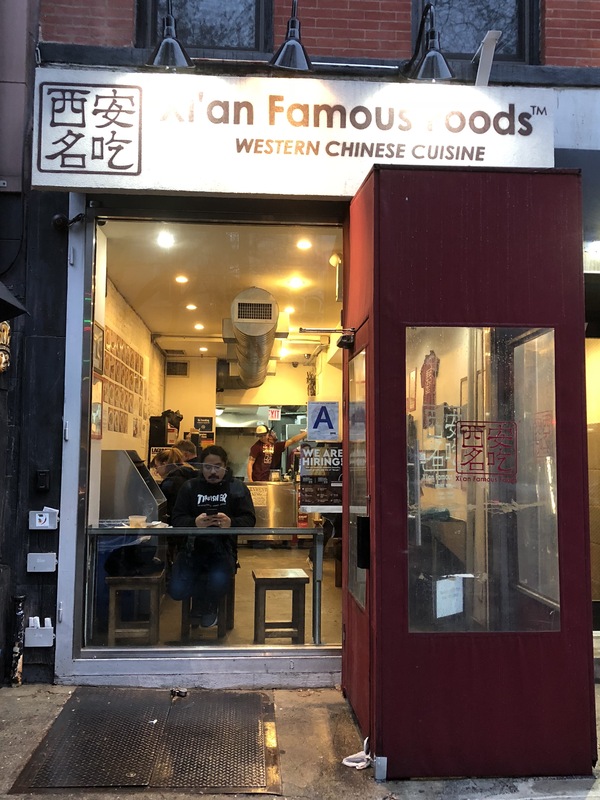 Mott and Grand street have a host of interesting food stalls, but stay south of Broome Street and east of Lafayette to get that real Chinatown experience. I managed to pick up a gorgeous Chinese teapot for my sister – so much so I returned and picked up one for myself a day later. 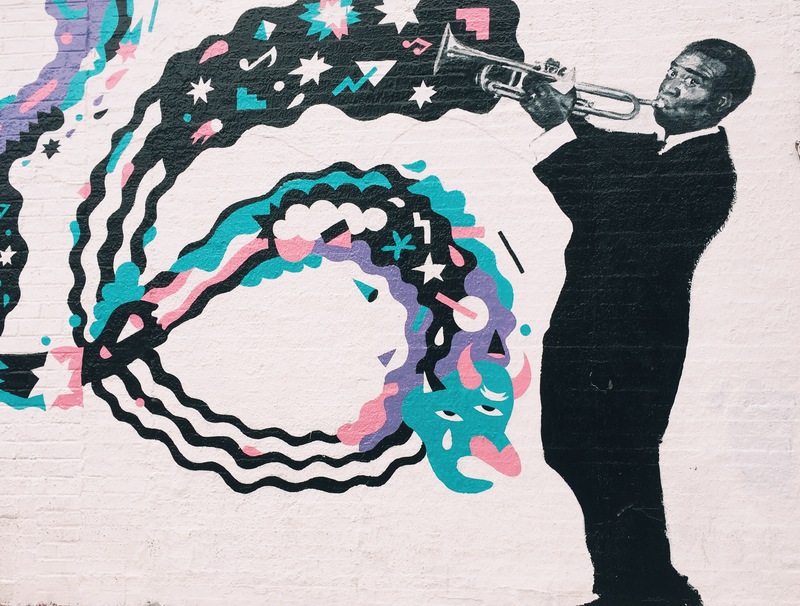 Take some time to explore Brooklyn. 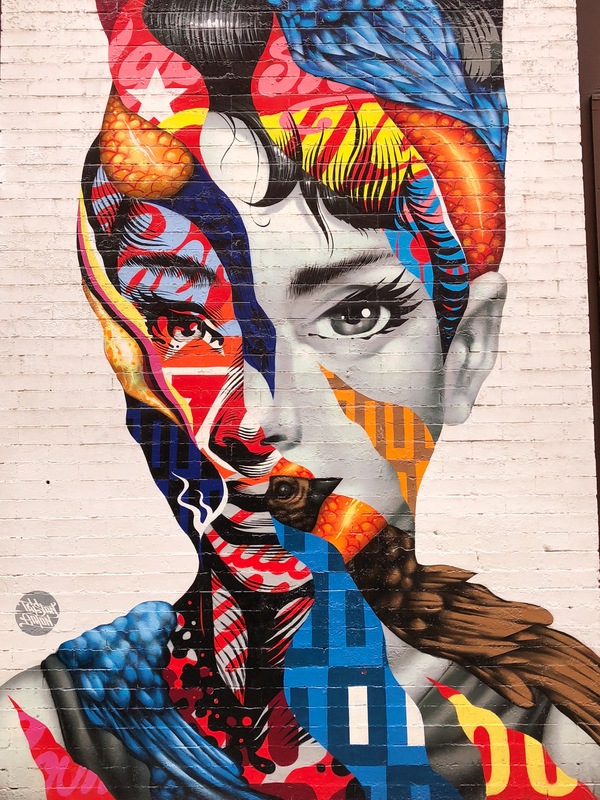 As it is such a huge area, aim for Williamsburg which has a host of fabulous, shops, eateries and great street graffiti. Just walking the streets and soaking up the vibe will be interesting enough. There are some great places to stop for a coffee or a bite to eat. Marlow and Sons – is regarded by some as ‘the best place to eat in the city’. It is great to stop for a snack or just a coffee or a more main meal for lunch or supper. It’s rustic, down to earth charm gives the place a genuine warmth and an enjoyable place to pass the time in good company. The American menu has an emphasis on fresh food and menus that change daily. 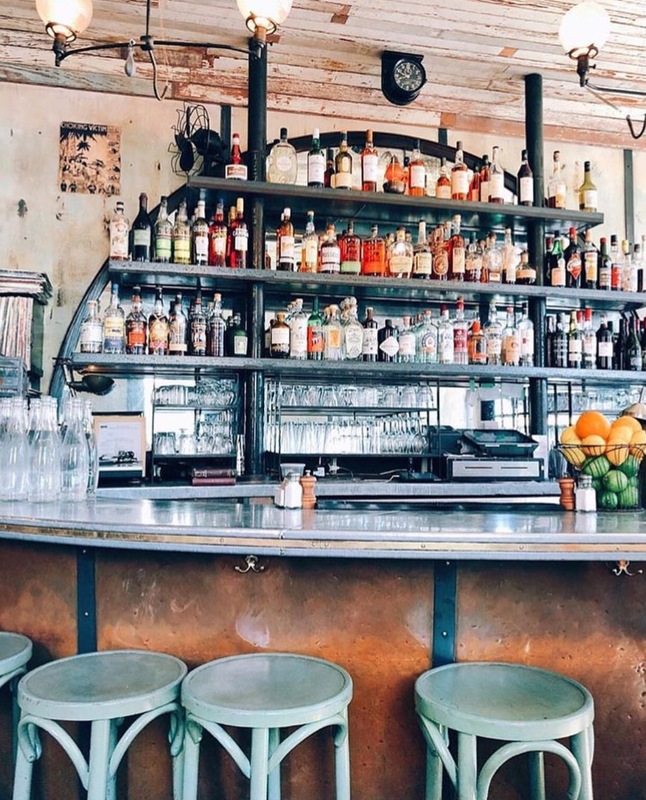 Five Leaves, based at Greenpoint, is another good option if you are after brunch with a hip crowd creating a nice buzz to the place. 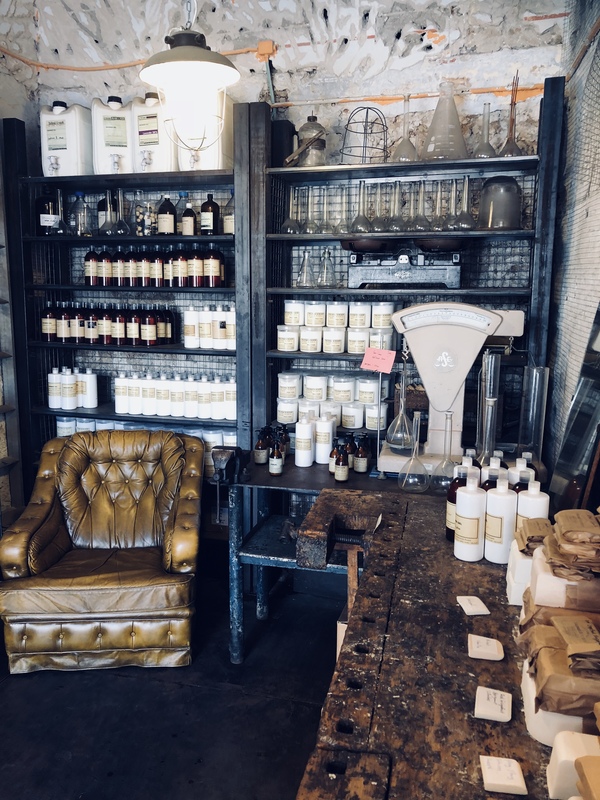 If you love a bit of thrift/vintage shopping, those in the know head to Beacon’s Closet, which have a few locations, but one is a stones throw from Five Leaves. If you feel the urge for a modern art fix then Moma is definitely worth a visit. The Tarsila Do Amaral: Investing Modern Art in Brazil exhibition was on when we visited, but most of all we enjoyed admiring the permanent collection, including works by artists such as Henri Matisse, Claude Monet and Vincent Van Gogh. 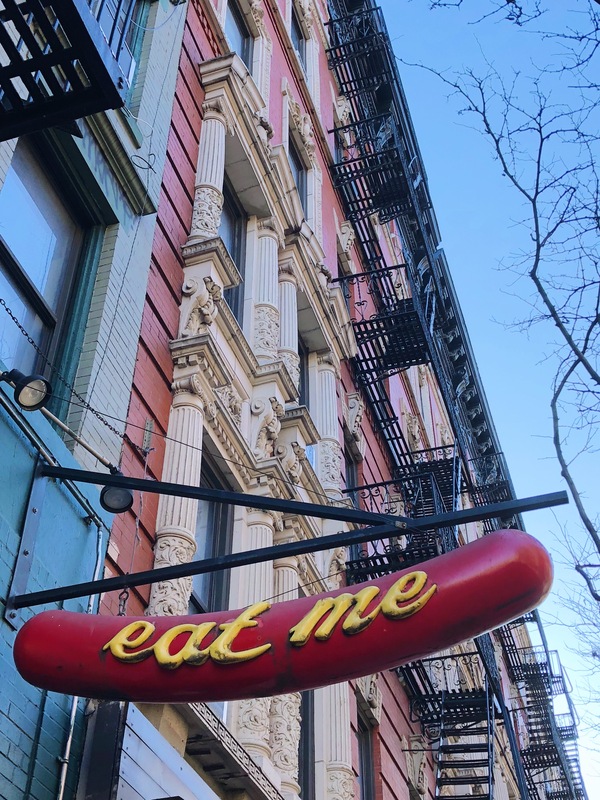 We were staying in East Village so over the course of a week got to know a number of the eateries in the neighbourhood. 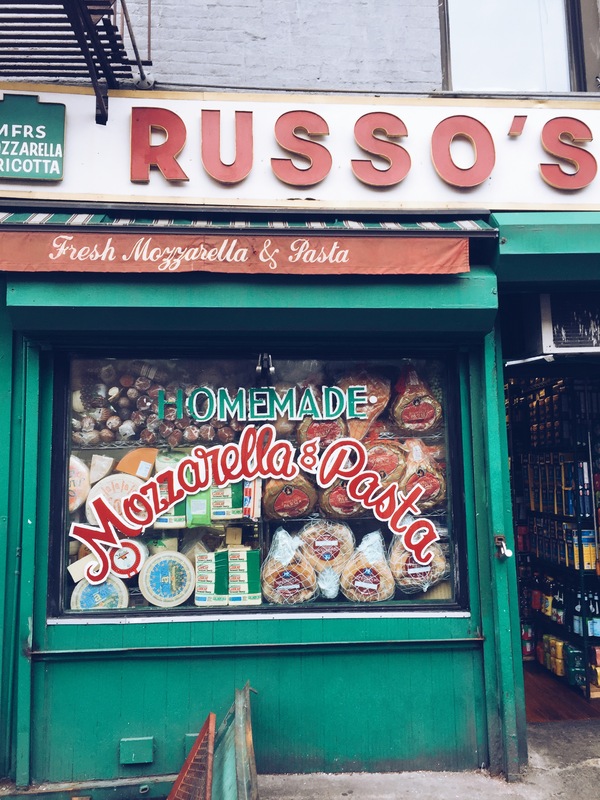 Some evenings we ate in, stopping off at nearby Russo’s for some fresh pasta and sauces and the BEST fried artichokes, to take back to our apartment and devour. This Italian deli has been serving customers for over 100 years so is definitely worth a visit if you are in the neighbourhood. Another must is to either eat in or order take out at Xian Famous Foods (which I recently discovered is about to open a branch in London). I ordered take out ‘spicy cumin lamb hand-ripped noodles, which were heavenly, but I could quite easily have ordered the whole menu. 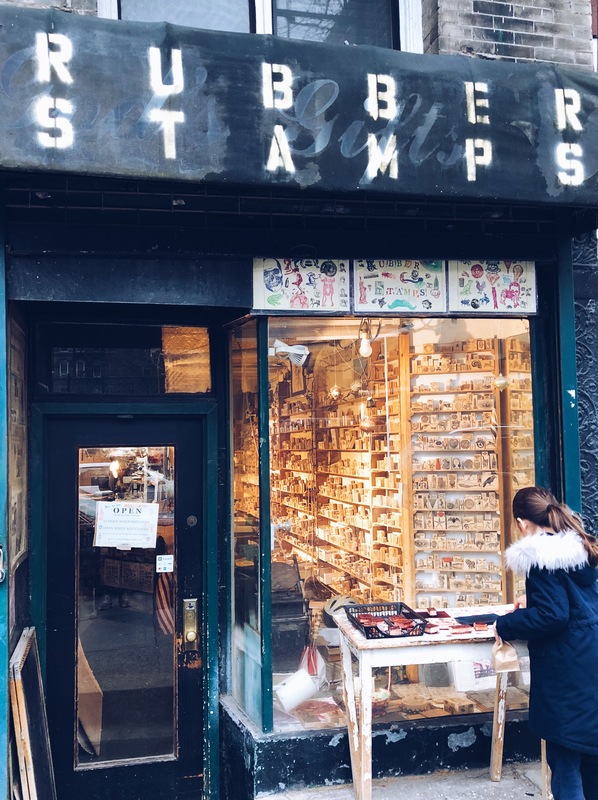 A few streets away is an adorable little treasure trove of a shop, called Casey Rubber Stamps, owned by an affable Irish guy called John Casey, selling all manner of rubber stamps. It’s the type of place that you wander in and before you know it you end up buying quite a number of rubber stamps. They are great as gifts or to keep for yourself. It’s is so important to keep small business thriving so make sure you visit John’s store. My whole family loved it and spent time admiring the wide variety of stamps for sale. For those who have been reading this blog for a while, you will know that I love Vietnamese food. Thankfully there is a great Vietnamese restaurant in the East Village called Hanoi House which is definitely worth a visit, if you are in the nighbourhood. Right next door to Hanoi House looked a rather good neighbourhood bar called Ten Degrees. and a little further down the street you will see a sign saying ‘Eat Me’. If you head into the door below this sign, you walk into a random hotdog vendor where you will find a telephone booth. You then have to enter and dial a number where you will be asked if you have a booking (make sure you do). Then the wall springs back and you enter the speakeasy. It’s called ‘Please Don’t Tell’ or ‘PDT’ for short. As we had our daughters in tow, we were unable to go in, but my sources tell me it’s a fun place to have a few cocktails and beers. No visit to New York is complete without a stroll around central park – you can even hire bikes or take a horse driven carriage, although the latter might scream ‘TOURIST’ more than you would wish. It maybe good to combine it with a visit to The Frick, The Met or MOMA. If you are visiting over winter you can have a go on the ice rink and in spring and summer there is the option of the zoo. It’s also a great place to have a picnic and watch the clouds float overhead. Whatever you decide to do, have fun, walk as much as possible and don’t feel you need to cross of everything off your list on your first visit. New York is a wonderful place to sit and watch the world go by. There are so many interesting characters that you’ll never have a dull moment. 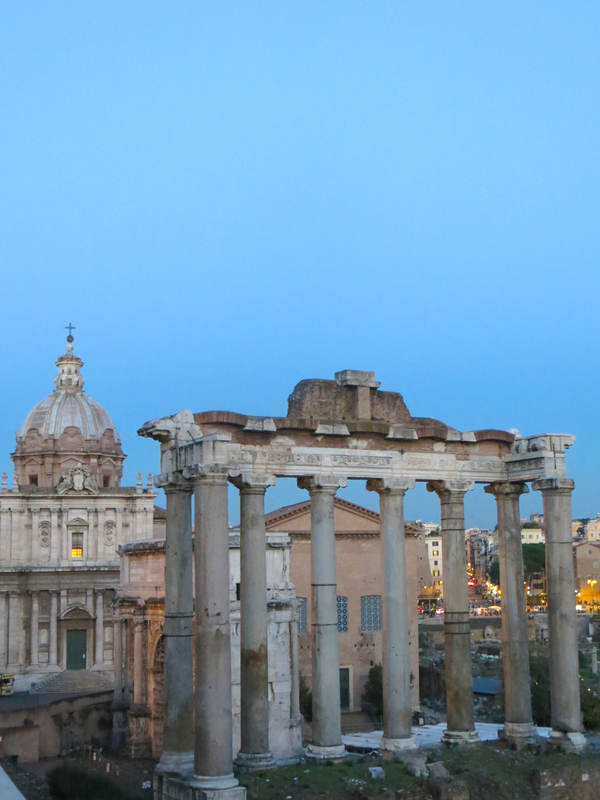 Autumn is a great time to go and visit one of the most wonderful cities on this planet – Rome. Steeped in history at every turn, wonderful food to reward the hardened traveller and a genuine, welcoming warmth from the locals, it was an obvious choice to take my family for a four day adventure. ……it also happens to be ‘TRUFFLE’ season. I adore truffles simple as that. If they’re on the menu I’ll be ordering them and as I was to discover, both my daughters share my love of this strong smelling fungus. Result. We had a very memorable feast with local Roman friends at Maccheroni Ristorante, where we gorged on truffle pasta. Restaurant details at the bottom of this post. Another highlight of this time of year in Rome is fried artichoke, salt-cod fritters and mouth watering burrata mozzarella (well ok… the last two you can get all year round!). To know how to cook your very own fried artichokes at home take a look at this charming vimeo below. Cookin’ with Ma and Pop: Pop’s Fried Artichokes from Roberto Serrini on Vimeo. Finding the perfect place to stay when you are travelling in a small group – there was 5 of us – is always tricky. After my sister waxed lyrical about the merits of airbnb I thought I would give it a try. For the uninitiated, it is a service whereby local hosts rent out their apartments to you for the duration of your stay. They meet with you to hand over the keys and show the ropes and then you use the apartment as your home. At the end of the stay you both rate each other online so that others know whether the place to stay is as it is represented online and you are a respectful ‘care-taker’ of the apartment. Before booking the apartment both the host and the lodger can find out a fair amount about each other online so that you have a fair idea of what the person is like. I booked a thirteen century medieval tower apartment, which oozed charm and history. 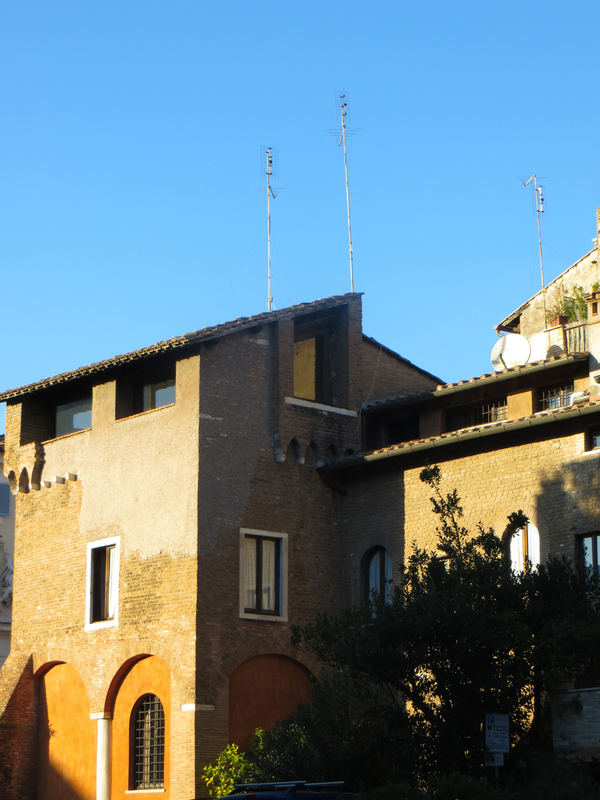 It was located in the old Jewish cobbled area of Trastevere, which is away from the hustle and bustle of the touristy piazzas and yet still very walkable to all the main sights. We discovered a wonderful cake shop five minutes walk from the apartment. I didn’t catch the name of it, but I will definitely be retracing my steps when we go back. 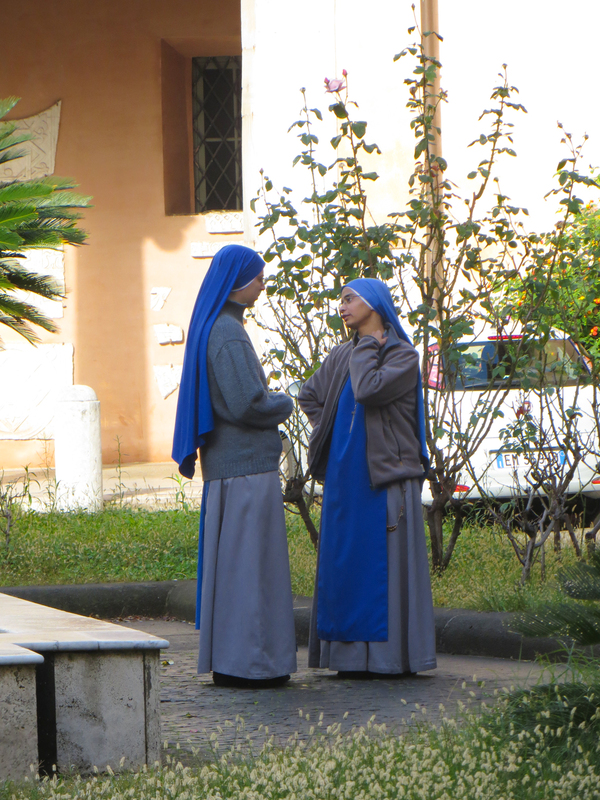 Opposite our apartment was a church, with possibly a nunnery attached, as we could hear the nuns practicing their singing. 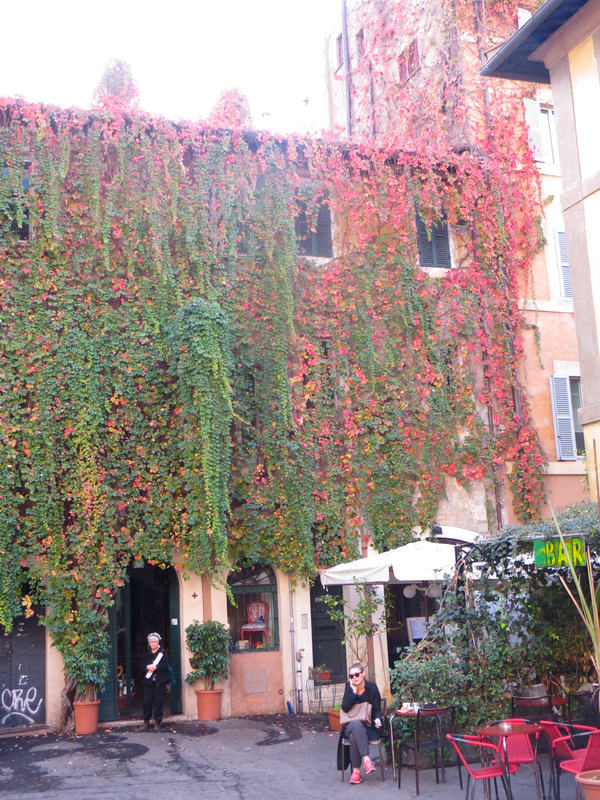 Trastevere also happens to be a great location for dining. Within two minutes of our apartment was the Da Enzo and Da Teo – both seriously good restaurants that I would have made the journey to even if I was staying the other side of town. Have a look at the video clip on Da Enzo below….although probably best to watch when you are not hungry!! 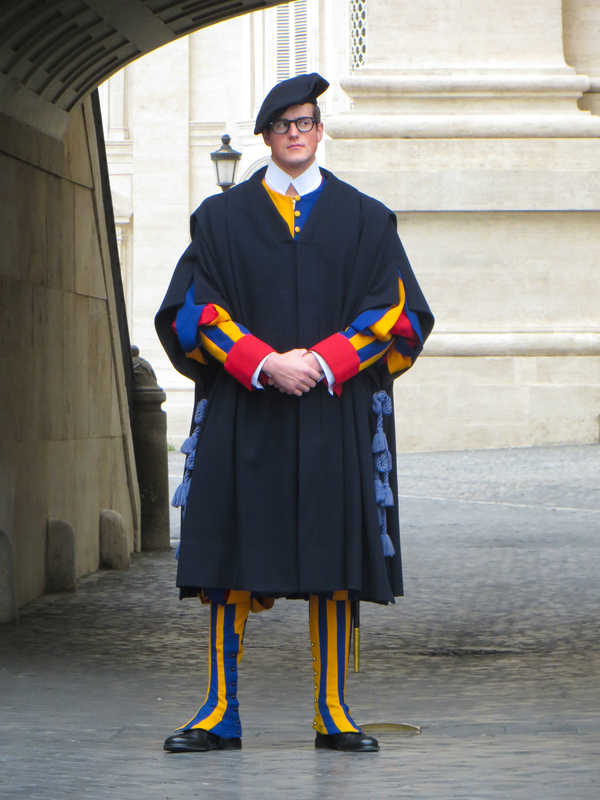 Between all our feasting we put on some comfortable shoes and walked the streets of Rome. 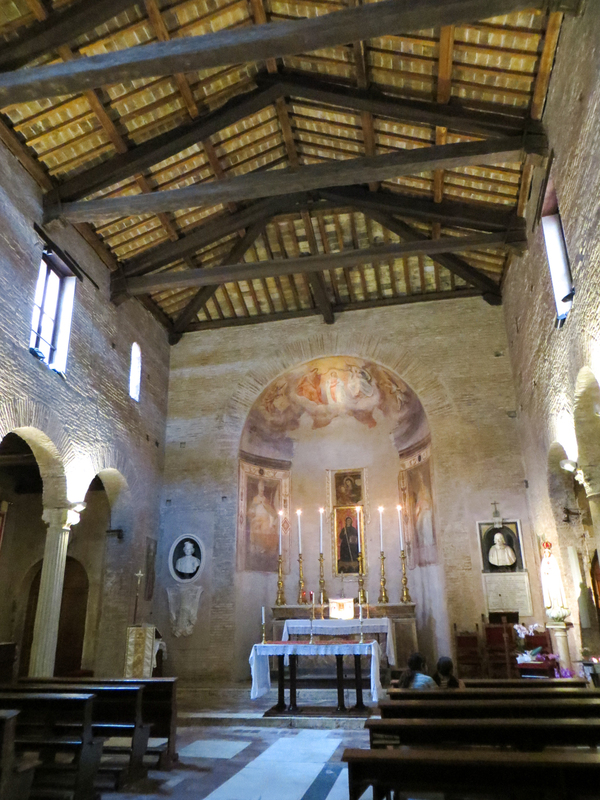 It has over 900 churches and whilst we didn’t see them all, much to my husbands chagrin, we did venture into a good number. 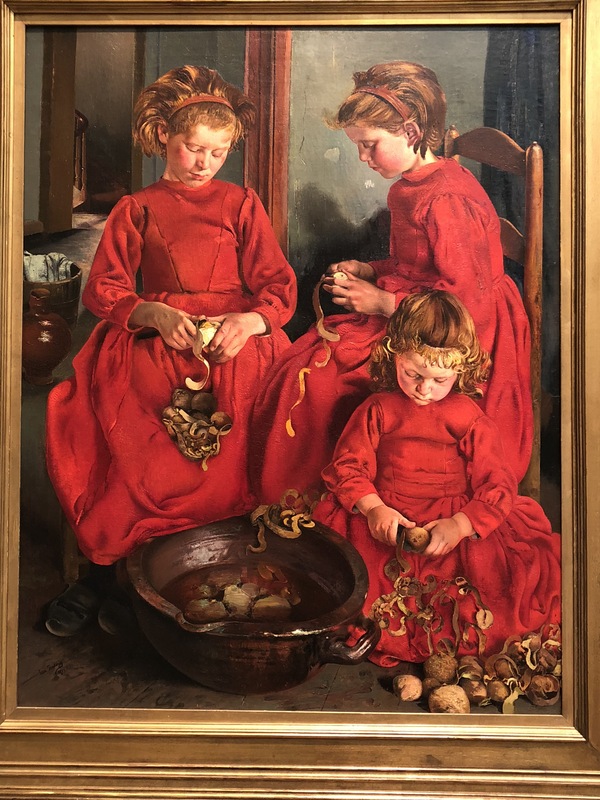 I love the aura and aroma of holy churches and temples, but also really admire the incredible skills and talents of artisans of bygone years. Frescos adorned many of the walls and ceilings and gold and treasures could be found at every turn. 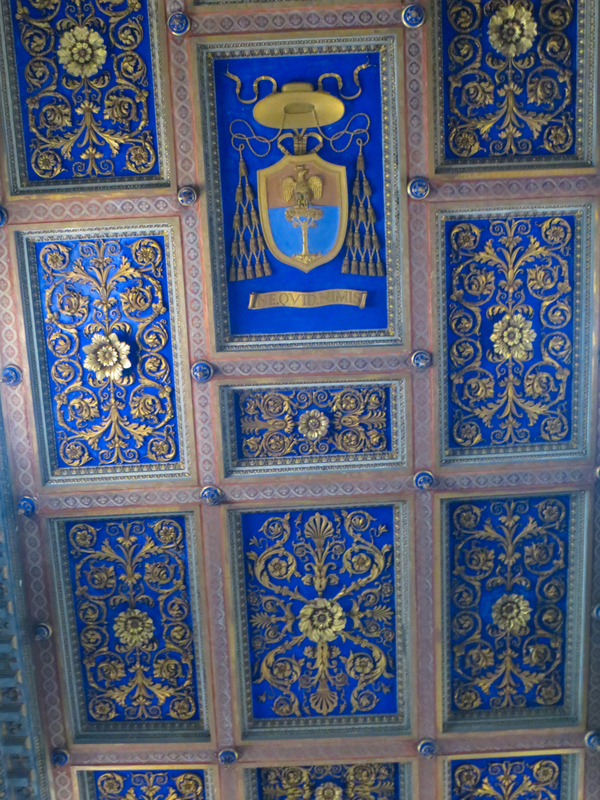 The royal blue of this ceiling really caught my eye as it was so original and vivid. Between churches we visited all the main Roman sites, breathing in the history and imagining what it must have been like to live in Roman times. 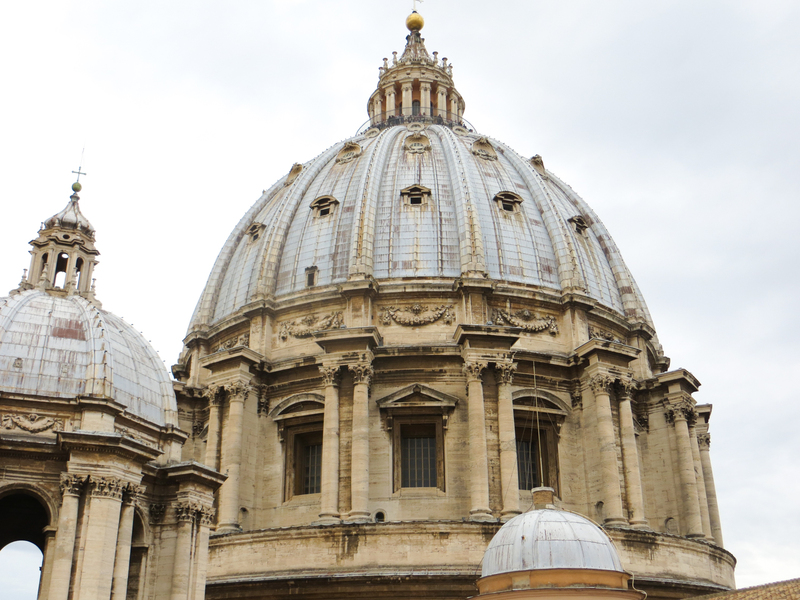 Something I have not done before is climb to the very top of the Vatican and when I mean climb I mean climb the whole way – over 500 steps. 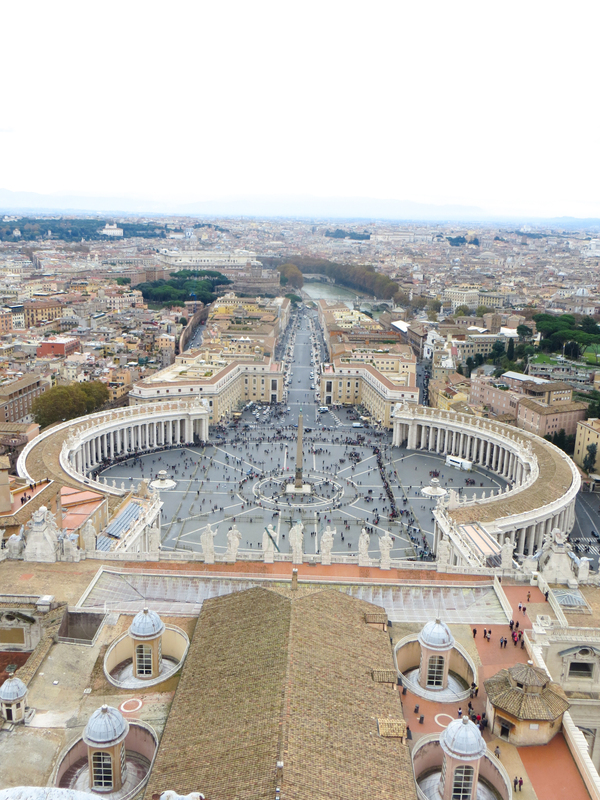 I usually hate climbing narrow, winding staircases but for some reason the Vatican did not seem to phase me and we were all afforded wonderful vistas of Rome from the top. 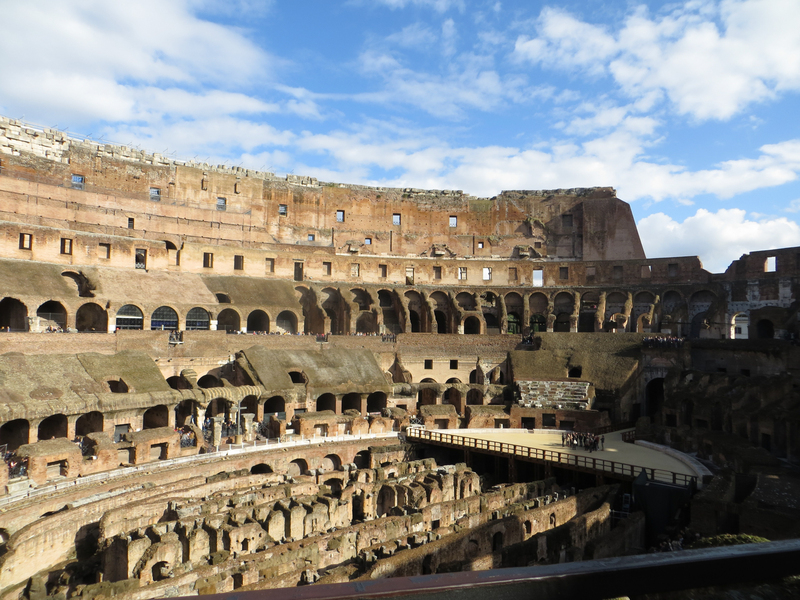 We came down part of the way by elevator so next time your are in Rome, give it a try, I really recommend it. 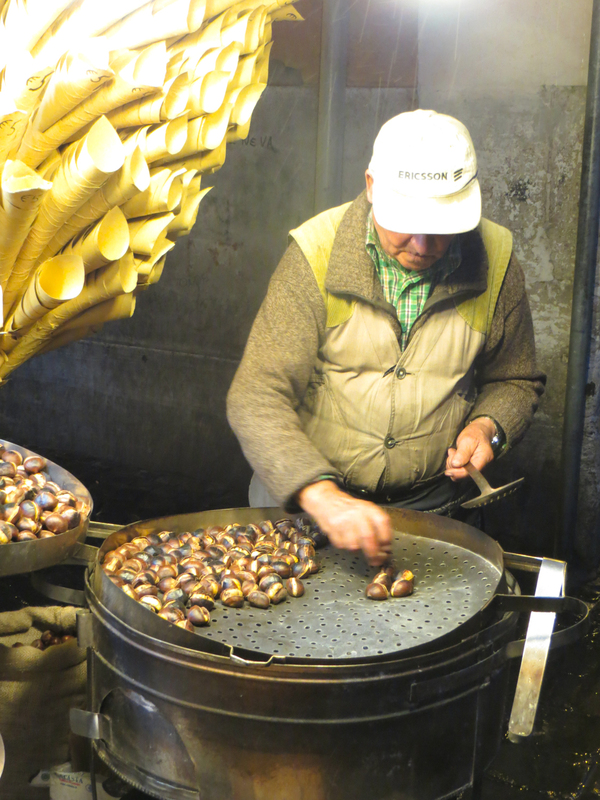 After all that wandering and climbing we snacked on piping hot chestnuts. 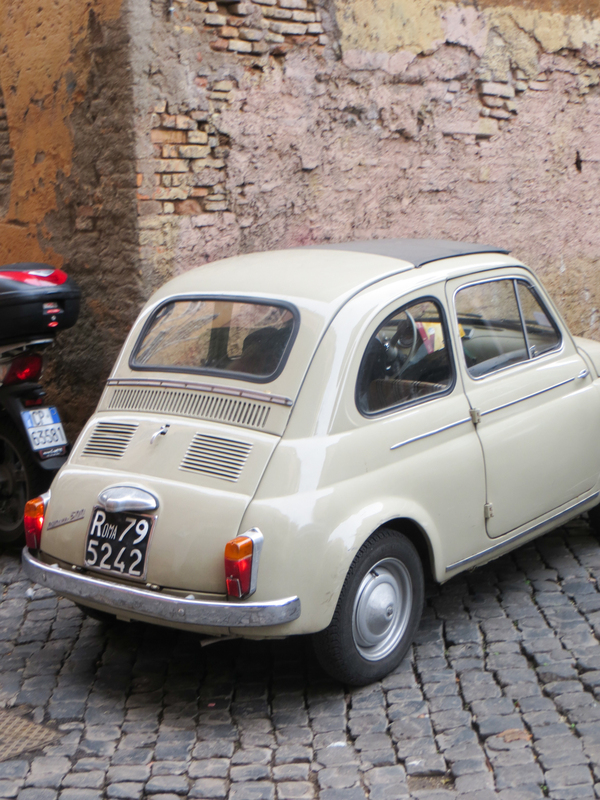 Do you have any great tips on Rome that you would like to share? If so I would love to hear in the comments section below. My regular recipe posts will be up at the end of the week so be sure to check back in then. 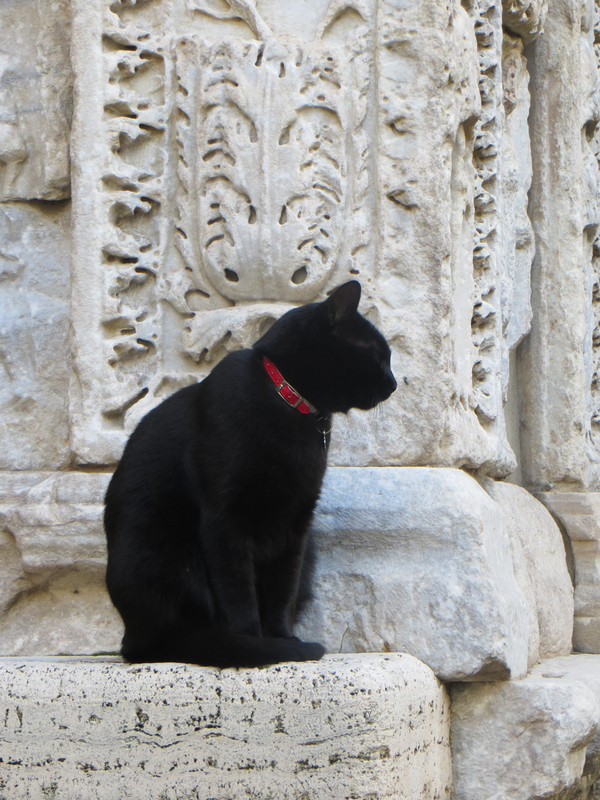 ….some of the locals clearly take all the Roman ruins for granted! Mary McCartney has been gracing the pages recently of certain magazines here in the UK, namely The Saturday FT Magazine (April 21st 2012) and the June issue of ‘Red’ Magazine. Known for her talent behind the camera it was a revelation, albeit a positive one, that she has just produced a cook book called ‘Food‘ that she wrote and photographed. For those who are unaware, the McCartney clan are passionate vegetarians and Mary has clearly channelled her love of all things vegetarian into her own tome. Between the two magazines I now have just under 20 of her recipes, which should appeal to a wide audience in that they look straight forward to execute and appetising enough to warrant an attempt at making. I thought that I would follow her take on the granola bar, which to all intense and purpose is a glorified healthy flapjack right? 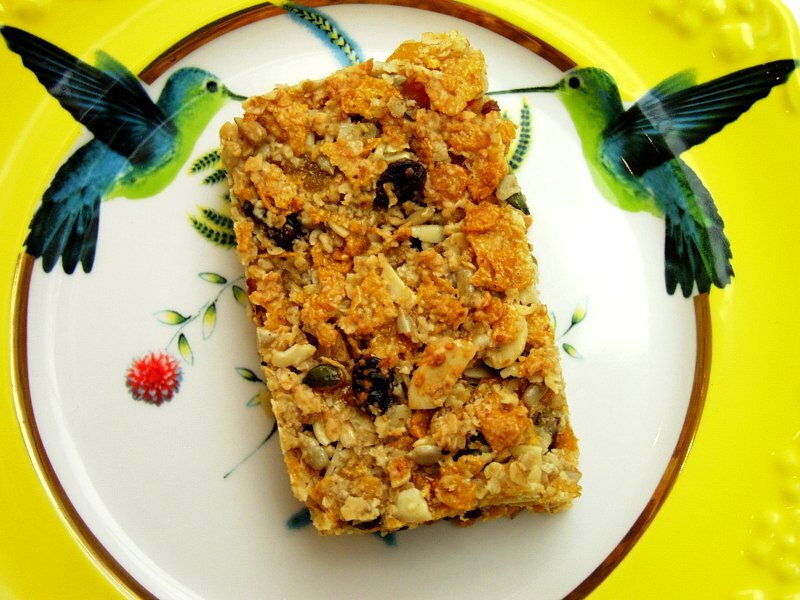 I am always thinking of little snacks to feed Big A and Little Z when I collect Big A from school, so thought Mary’s granola bar idea would be perfect to give them to fill the gap before supper. I am also a huge fan of agave syrup, (which I also used in this recipe) which was right at the top of her ingredients list. The recipe is so incredibly easy that it would be perfect for Big A (whose 6) to cook on her own, with a little overseeing from Mama of course! I followed the recipe religiously, but I think I will get creative next time and change some of the ingredients around. For example I think the bars would also be delicious with pecan nuts, hazelnuts, dates, dried cranberries, coconut. If you get carried away with some new ingredients that work do let me know and maybe next time I’ll follow your suggestion. 1. Line a baking tray with baking parchment. I used a 25cm x 25cm tray. Preheat the oven to 180 degrees. 2. Heat the agave syrup in a pan for a few minutes and then add the vegetable oil and butter. Take it off as the butter melts. 3. Add all the ingredients to the syrup mixture and gently fold in together so that all the ingredients are evenly covered in the syrup. 4. Transfer the contents of the pan to the baking tray and firmly press down evenly. 5. Bake in the oven for 15-20 minutes. 6. Take tray out of oven and leave to cool. 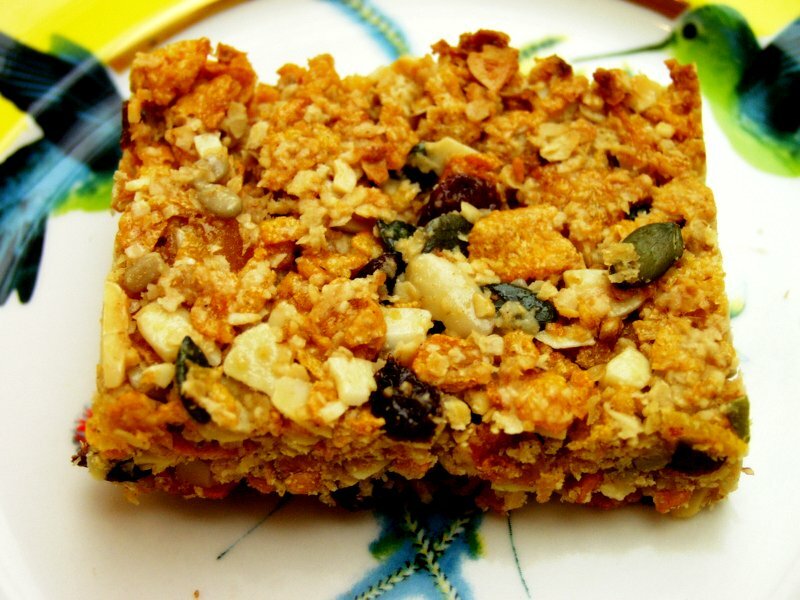 When it is cool, cut the granola into square, rectangles – whatever shape takes your fancy! The baking parchment will come away easily once the granola has cooled. 7. Store in an air tight container.